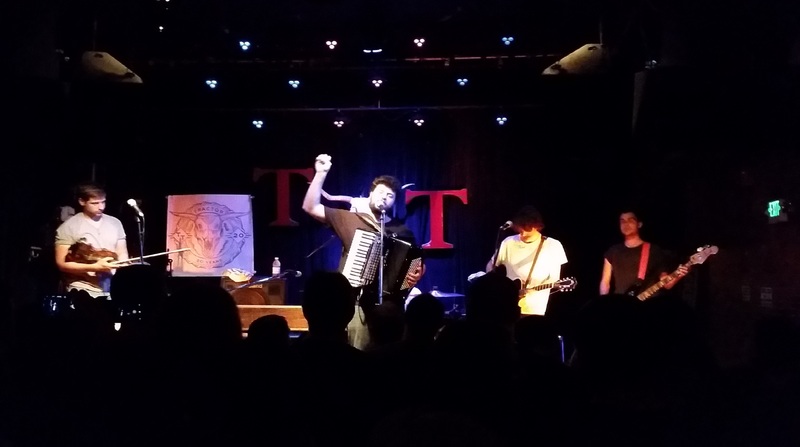 You haven’t seen anyone play the accordion until you’ve seen James “Jimmy” Felice play the accordion. 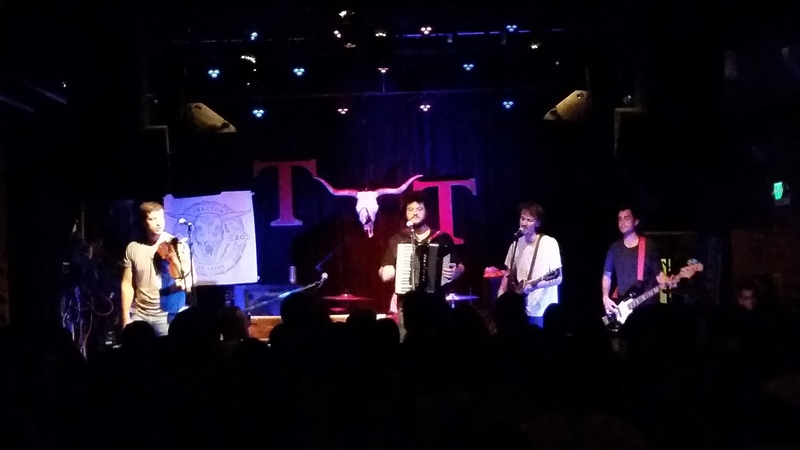 I haven’t seen many accordion players in my day, so I’m not sure if that’s entirely true, but it’s hard to imagine many people pulling it off with the coolness of James of the Felice Brothers. 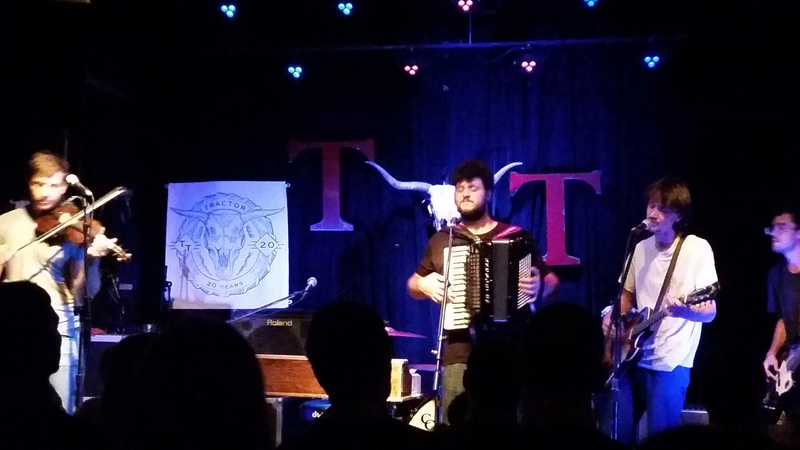 Seeing a big dude rocking the accordion and singing vocals is not what you would normal equate to a rock n’ roll show but somehow the listener can look right passed it. If you have to designate a “lead singer,” that title would probably go to his brother Ian Felice who sings with a weathered, but smooth voice over sometimes eerie lyrics. Bass-playin Christmas Clapton shares the mic on a few songs that are perfectly timed in the live set AND on the albums. 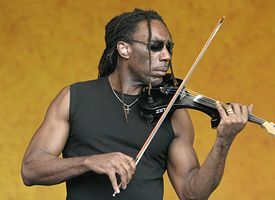 Then you have David Estabrook keeping the beat on the drums and perhaps the most athletic fiddle player since Boyd Tinsley, Greg Farley. When they gave Farley the mallets and let him pound on the symbols, I thought something was going to go flying. He also sort of plays the role of unintentional hype man for the rest of the band. 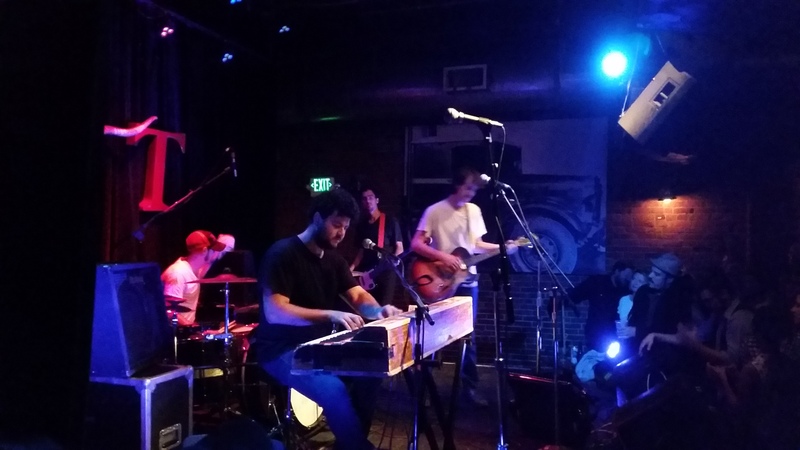 Most of the Felice Brothers’ recorded work is folky, but in a live setting, the sound is much fuller and heavier with more of a rock n roll vibe. Ian Simone played an electric guitar the whole time and it filled the Tractor perfectly. Spirit Family Reunion opened the show with their version of foot stomping folk, then came back with the Felice Brothers to close to show that turned into a sing-a-long party that you could picture happening in a garage or loose jam session. 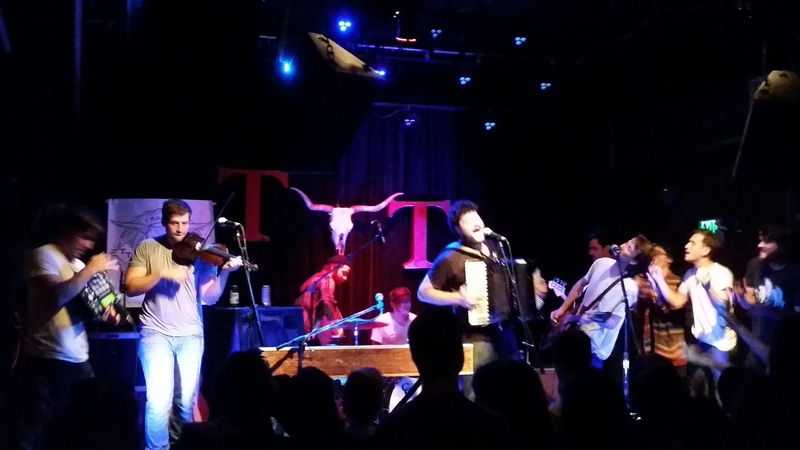 Posted in PHOTOS, REVIEWS and tagged Felice Brothers, Live Photos, Live Shows, October, PHOTOS, Seattle, Spirit Family Reunion, Tractor Tavern. Bookmark the permalink. Thanks Harrison. That was an oversight. Spaced.